Mr. James Ononiwu of the big Lagos law firm of Whitedove Solicitors, lawyers to Chairman, Copyright Society of Nigeria (COSON), Chief Tony Okoroji, has written to Mr. Pretty Okafor warning him of the consequences of the new wave of libellous statements made by Mr. Okafor against Chief Okoroji on several social media platforms. 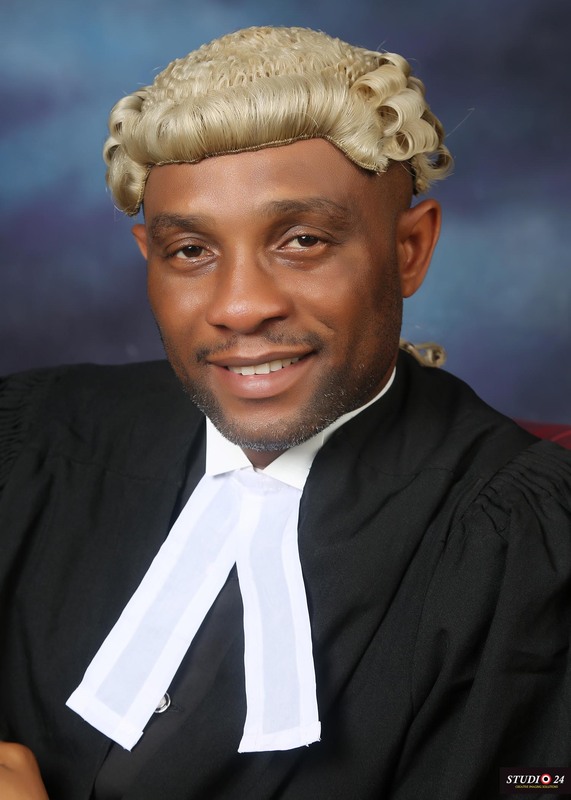 Mr Ononiwu reminded Mr. Okafor that he has refused, failed or neglected to file any defence to the 600 Million Naira comprehensive defamation law suit filed by Chief Tony Okoroji against him at the High Court of Lagos State in Ikeja since May 22, 2018. He also told Pretty Okafor that after having since been served with the processes, Chief Okoroji is set to proceed to obtain judgment against him and enforce the judgement if he does not take appropriate action. In the letter, Mr Ononiwu went on to inform Pretty Okafor that Chief Okoroji will not hesitate to bring fresh court action against him. It will be recalled that in a 17- page Statement of Claim, supported by 8 witnesses and numerous documents, Chief Tony Okoroji has in Suit No ID/ADR/903/2018, detailed several destructive statements made on different occasions against him by Pretty Okafor on Facebook, WhatsApp, magazine interviews, press releases, etc, stating that the statements are ‘blatantly false, serially defamatory, obnoxious, reckless and sordid’. Apart from asking the court for general damages in the sum of three hundred million Naira and aggravated damages in the sum of another three hundred million Naira, Chief Okoroji has also asked for conspicuous and unreserved apology from Pretty Okafor published on Facebook, WhatsApp, the Guardian Newspaper, the Sun Newspaper, the Punch and Vanguard Newspaper. The celebrated former President of PMAN, CEO of TOPS and author of “Copyright & the New Millionaires” has also asked for a perpetual injunction restraining Mr. Okafor, Mr. Okafor’s servants, agents or privies by whatever name called, from further publishing or broadcasting, or causing to be published or broadcast, the said words or any words defamatory of Chief Okoroji. Okoroji’s lawyer, Barrister James Ononiwu, has also said, “Chief Tony Okoroji knows the ‘guy men’ who are so desperate to hijack COSON, the most successful organization in the history of the creative industry in Nigeria, built with the exemplary and outstanding leadership of Okoroji. These ‘guy men’ desperately want to grab what Chief Okoroji has built for the good of generations of musicians in Nigeria. They want to milk COSON dry and trash it. These are the same people who destroyed PMAN and destroyed NARI, all built with the significant input of Chief Tony Okoroji. They want to destroy COSON too and Tony Okoroji says no! “The ‘guy men’ know that they cannot take out Chief Okoroji through a democratic process. Chief Tony Okoroji, a tried, tested, incorruptible and deep intellectual who is not afraid to speak truth to power, enjoys the overwhelming trust and confidence of musicians across Nigeria. These ‘guy men’ who want to reap where they did not sow, have therefore resorted to the sick fabrication and deployment of falsehood and defamation of character which they mistakenly think will take out Chief Okoroji. “Let them be informed that while our client is a man of peace and welcomes constructive criticism, Chief Okoroji will not stand idle over the coordinated wicked lies and unjust fabrications. He is fully committed to defending COSON and determined to keep COSON strong, vibrant, alive and productive for the good of generations of Nigerian musicians. Chief Tony Okoroji, a well-known advocate of the rule of law, has asked us to look out for the ‘guy men’ who are blackmailing COSON, serve them summons to come to court so that they can repeat what they have said on social media, in a court of law, and provide the evidence to back up their statements. Where they cannot defend what they have said, they will pay the price. The time for careless talk is over”.